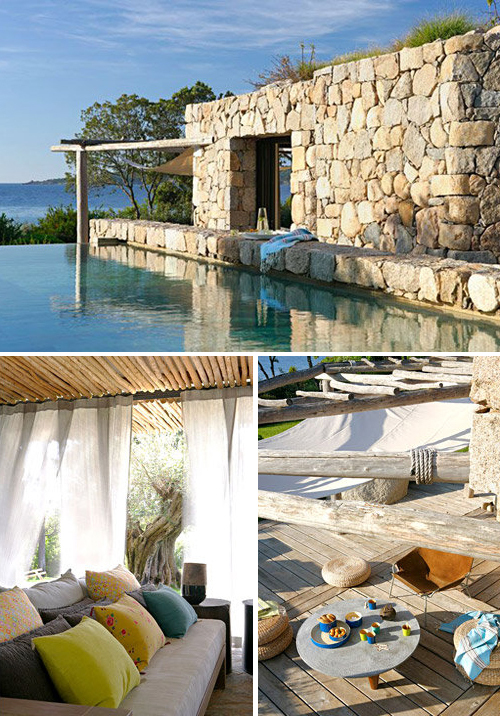 This stunning house can be found on the island of Corsica (France). The lucky owners visit this holiday home every summer, bringing friends as this gorgeous house can accommodate seventeen people. 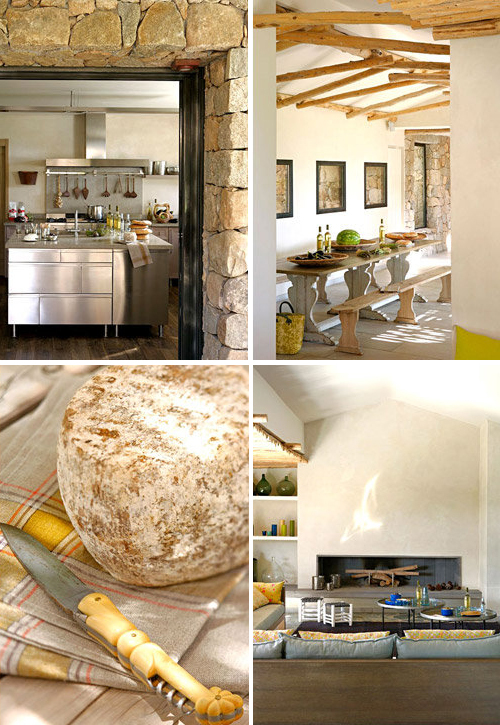 The modern stainless steel kitchen (top left image) blends surprisingly well with the rustic stone walls. The rooms are outfitted with a mix of wooden furniture, modern pieces and ethnic accessories. Those rough stone walls, and cozy, simple interiors… Beautiful! d-r-e-a-m-y! nice textural contrast between the mirror smooth surfaces of the pool and stainless with the rustic walls and greenery. 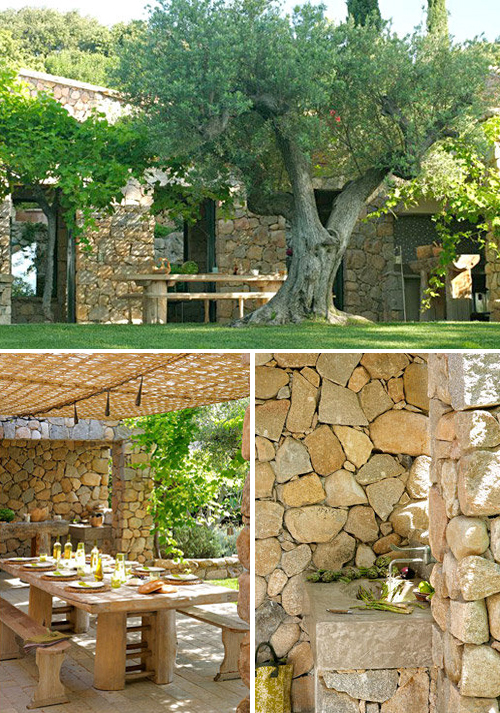 Rustic stones and stainless steel and don’t forget the big old olivetree! What a fantastic place! I adore the rustic simplicity and warmth of the stone, mixed with the kitchen! Also.. I could seriously LIVE in that infinity pool.. What a view! Absolutely gorgeous….. adore the texture and rustic charm. Such an adorable place! The rustic texture of stones and wood creates a relaxing ambience. that place is so beautiful… i love the rustic feeling with a little bit of modern! Truly gorgeous! Love those stone walls!